The growth and prestige that Lever Touch has gained over recent years have clearly not been obtained by chance. We have had to overcome a variety of challenges and combine many factors in order to attain excellence. These include the strength and flexibility of our structure, the flow-through dynamics of the company and the extreme care we take over details and customer service. But all this would not be of much use if excellent expertise and effectiveness were not to be found at the heart of our work. Because in vehicle repairs, the leading role is played by the technicians; it is they who act on the damage to the vehicle and it is to their skill, essentially, that the quality of the repair is due. Our company strives to ensure that their work can be carried out in the most favourable conditions, and is responsible for co-ordinating their efforts to achieve maximum efficiency and fluidity in the collective operation. It therefore seems to be stating the obvious when we underline that technical personnel are a priority for Lever Touch. Their training has been one of the keys in successfully completing the journey that has brought us here, and it will continue to be key to making us bigger and better in the coming years. 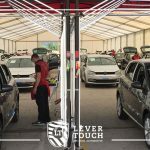 To provide this training, we have the Lever Touch Academy, where courses are given to individuals selected by our human resources department among those especially skilled in bodywork and paintwork tasks. Our future specialists are trained for three years, during which they develop their mastery of Paintless Dent Repair procedures and other skills necessary to join our team with every assurance. We have three bywords to keep our company young and motivated: learn, learn and learn. The time comes for our students to start working anywhere in the world and giving their best. 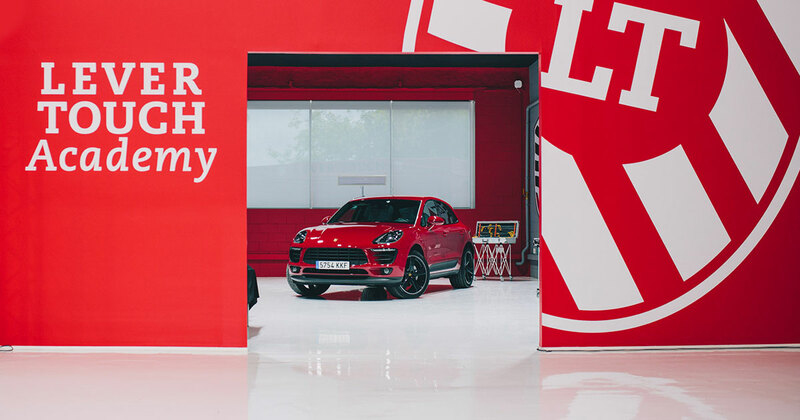 The skill acquired in the three versions of the PDR technique (rods, hot melt adhesives and magnetic induction heating) enables our employees to repair bodywork damages by a thousand hailstone impacts in 24 hours. This represents an extraordinary saving in time and resources compared to traditional systems, as well as offering results of much higher quality. Each technician does not work independently, but rather there is a great deal of co-ordination within an operation. Each of the repair phases is secured before going on to the next one and the whole team is involved and works towards a greater goal. All this means that the end result is a substantial improvement in the repair schedule and a fast and high-quality response to major incidents caused by hailstone anywhere in the world. At Lever Touch we are constantly seeking motivated professionals who are up for a challenge. We want to train professionals with the highest qualifications in vehicle repairs, and we invite you to contact us if you believe that your profile matches our work and our business philosophy. Send us a message and we will try to respond as soon as possible.